Officers on paid administrative leave during investigation into death of shooting suspect. Portland police have identified the man killed in an officer-involved shooting early Sunday as Patrick Kimmons, 27. No officers were injured in the incident, during which they say two other people were shot and wounded before officers intervened. Two officers involved in the shooting are on paid administrative leave while the incident is being investigated. 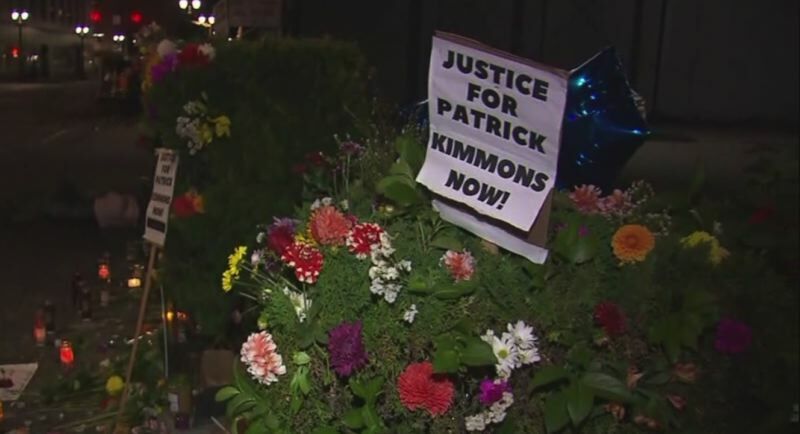 Kimmons had previously been identified as the person killed in a memorial at the site of the confrontation and by social media posts, including some posted by people who said they were friends and family members. Some say he was a father with three children. Police have previously identified Kimmons as a "known Crip" gang member involved in gang-related crimes. He was convicted of witness tampering in 2010 and for delivering cocaine and possessing a firearm in 2011. The Portland Tribune has posted two previous stories involving him, including one where he was wounded in a suspected gang-related shooting in April 2014. 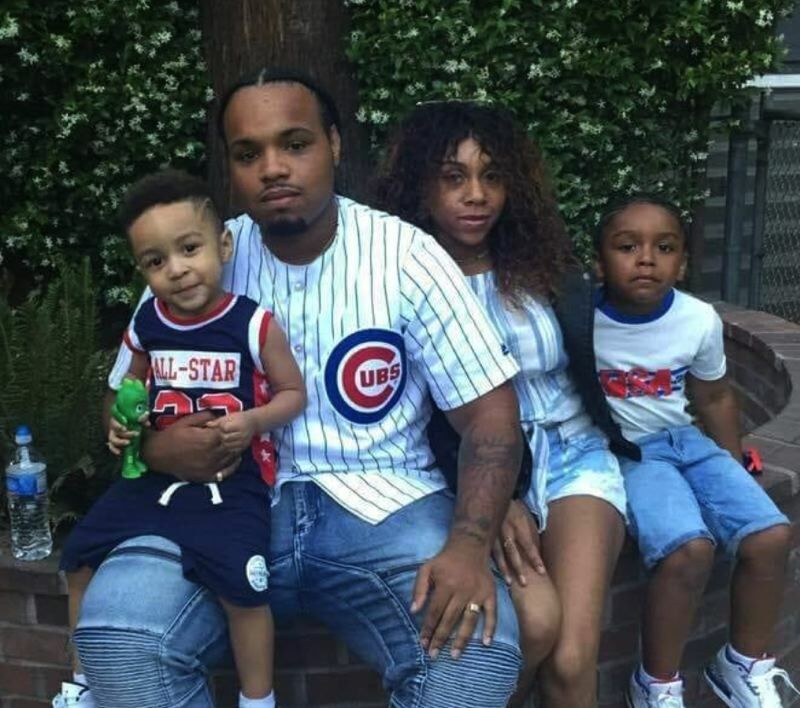 Kimmons wrote that he was trying to turn his life around on his Facebook page in July, saying, "Trying to work on myself as a man and also trying to raise my kids the proper way. No one ever said being a parent was gonna be easy but I dedicate my time to my children because I want to teach them that they can be anything they want to in life." He attended Jefferson High School, Portland Community College and worked as a baker at Dave's Killer Bread, according to his social media page. There were numerous community members who have been interviewed as part of the investigation. A video was recovered at the scene and is being reviewed. There were two Portland Police officers involved in the officer-involved shooting. There were also two witness Portland Police officers; they have been interviewed by investigators. The involved officers are scheduled for their administrative interviews later today. The officers involved in the shooting are identifed as Sergeant Garry Britt, a ten-year veteran of the Portland Police Bureau, and Officer Jeffrey Livingston, a year-and-a-half-year veteran. "The Police Bureau is sensitive to the fact a life was lost, and many people from the Portland community are impacted, including family, community partners, and officers. We will strive to release information as quickly as possible as the investigation unfolds," the bureau said in a Monday afternoon press release. According to police, the preliminary investigation indicates officers only engaged one person after that person had been involved in a shooting where two other persons were shot and injured. The suspect was declared dead after being transported to an area hospital. The investigation into the shooting is being conducted by police detectives and the Multnomah County District Attorney's Office. Preliminary information divulged by police stated that Central Precinct officers were patrolling the area of Southwest 3rd Avenue and Southwest Harvey Milk Street when they heard shots being fired. Officers engaged a subject and an officer-involved shooting occurred. According to police, a firearm was recovered from the crime scene. The area from Southwest 2nd Avenue to Southwest 4th Avenue and from Southwest Oak Street to Southwest Washington was closed to the public while investigators processed the scene. As per policy, the involved officers will remain on paid administrative leave until the completion of the investigation and review by a Multnomah County grand jury. • Portland Police Bureau directives outlining the procedures followed after an officer involved shooting may be found at tinyurl.com/y82ccbzc. • Once the entire investigation and legal process is complete, the investigative files and any grand jury transcripts will be posted on the Bureau's Open Data page and can be found at tinyurl.com/y7xzqtrx.